Meteorologists, weather forecasters, and tornado hunters all need to know about the different weather terms, which will have to be communicated to the public in times of climate disasters. Some of these terms include ‘warning’ and ‘watch,’ as in ‘tornado warning’ and ‘tornado watch.’ Unfortunately, many of the common layperson doesn’t know how to discern the two. Basically, a tornado watch is issued when the conditions seem to be right or when the meteorologists think that the variables are favorable for a tornado to occur. Simply said, the tornado has not yet been seen at this point. A tornado warning is different because this is a more serious call to make. This means that the experts have already seen an actual tornado. Although, it is also possible to call for a tornado warning even without actually seeing a maturely formed tornado, it can also be announced because it is already very definite that it will show up anytime soon. Warnings are also issued when a tornado has already begun to form or if the local tornado radar has picked up a signal for a tornado. In terms of the scope of the area involved in a tornado watch, it is relatively bigger than that of a warning. A watch is usually issued to 50% of the state’s total area and in some cases the entire state. But for a tornado warning, this is normally issued to a more defined scope like for one particular county only or together with a few others. When a tornado watch has been issued and if you are within the area affected by the forecast, you should start finding the appropriate tornado proof shelters and be cognizant about the steady flowing updates about the climate. In a tornado warning, this is the time wherein you really must find shelter as soon as possible because the tornado has most likely touched the ground. 1. A tornado warning call is much more serious than a tornado watch call. 2. A tornado warning is usually issued to a more definite and confined area compared to the tornado watch which is normally issued to a broader area. 3. In most cases, a tornado warning is issued when an actual tornado has already been seen while in a tornado watch the tornado has not yet been formed. Julita. "Difference Between Tornado Watch and Warning." DifferenceBetween.net. 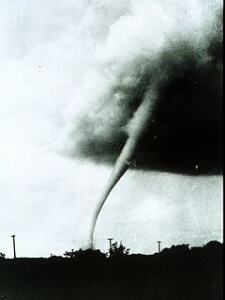 June 14, 2011 < http://www.differencebetween.net/science/nature/difference-between-tornado-watch-and-warning/ >. very matter of fact and informative article. thank you! i grew up in tornado country and so i know the difference. but as the article mentioned, surprisingly many people don’t. now a days it seems that most of the country is “tornado country” so this is really important for folks to know.